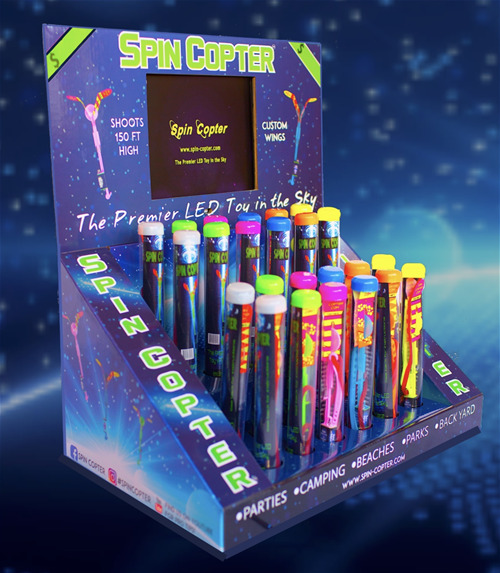 Spin Copter is the premier LED toy in the sky. Chances are you've seen our amazing copters being shot in the air up to 150 feet!!! Our LED Copters will bring a smile to your face and will definitely light up the night! Our amazing VIDEO displays will "WOW" your customers and Spin Copters will be flying out your doors! We have custom wings and six different colors. Stop by and find out for yourself why Spin Copter is not just a toy, it's an event! Spin Copter is the premeir LED toy in the sky. We have 6 unique colors and 3 custom wing designs. 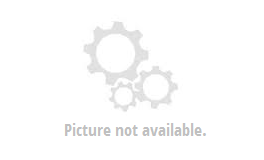 We guarantee that our wings will never break and use only the highest quality materials. Spin Copters can reach heights of 150 feet in the air and then descend back down slowly to you, producing an amazing array of light. They look like a firework on their way up and a UFO on their way back down as the wings spin in a circular motion creating a stunning display of color!